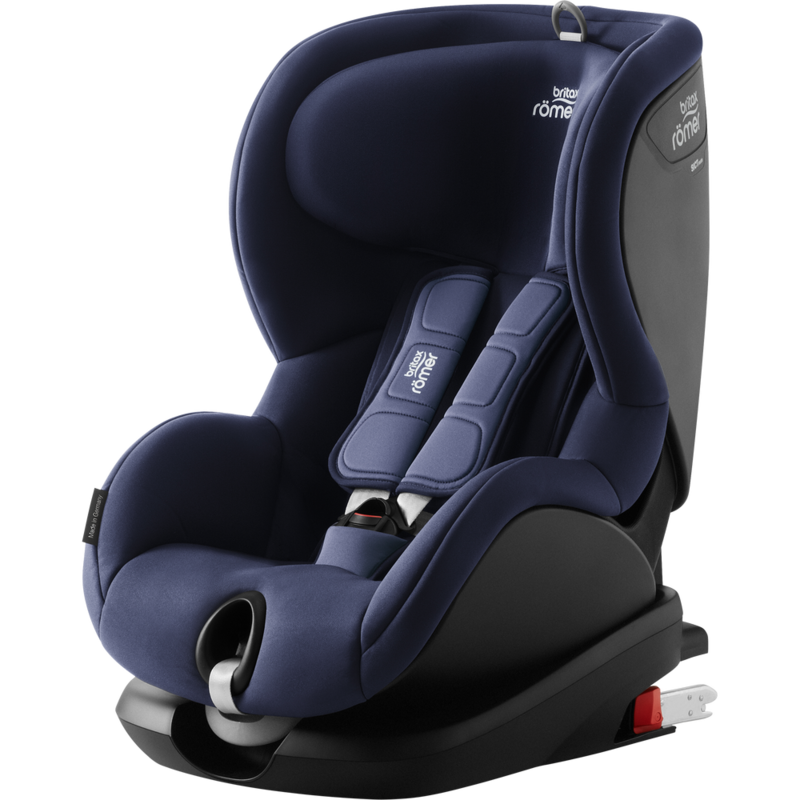 Britax Römer Trifix2 i-Size seat is a safe Isofix child seat from 15 months up to 4 years with easy handling. It can only be fixed in the direction of travel. The seat cannot be used with seat belt. To provide the highest quality Britax Römer developed, designed and manufactured Trifix2 i-Size in Germany, and this does not only apply to the seat itself but also to each and every piece such as the cover, fabrics etc. Even though your child does not need a (close to) lie-flat carrier anymore, you still need to protect him / her as much as possible. This is the reason why Britax Römer developed the Trifix2 i-Size seat with a great variety of elements to provide maximum safety. These include padded side wings with SICT (side impact protection) inside and V-shaped headrest to protect from side impacts, and the patented Pivot Link ISOFIX System and Top Tether with rip stitch technology from a frontal impact. Using a Top Tether allows you to have more space in your car. The seat can be used in every car that has Isofix anchorages with Top Tether. The harness buckle is designed to stay in a forward position, so when you place in your child, it will not get stuck under the child. You can remove the cover easily without having to remove the harness. SICT (Side Impact Protection): an extra layer integrated inside the seat to keep your child away from a possible collision, and at the same time to absorb the energy. It is always ready for a possible crash, you do not have to attach it to the seat, it is already built inside the seat shell. Pivot Link ISOFIX System: leads the energy of a collision first down, towards the seat, then secondly gently forward with a much less force to protect the baby’s head and neck. Top Tether with rip-stitch technology: reduces the energy and movement of the seat in case of a frontal impact by ripping progressively and gives more stability. V-shaped headrest: controls and comforts the movement of your baby.’s head. Both the headrest and the harness can be adjusted from the front. Padded side protection keeps the baby safe during a side crash. 5-point harness: safest option to keep the baby safe and tight in the seat. In case of an accident the 5-pont harness ditributes the force of the impact intto 5 differnt places. Neoprene padding on the chest provides extra safety and comfort for the child. They can be removed without taking off the harness. Britax Römer Trifix2 i-Size is available in several different colors. I hope you liked this review and if you have any question about the Britax Römer Trifix2 i-Size seat or want to leave your own personal experience, leave a comment below.